The new Sixth Congressional District. It seems like almost everyone has an opinion about the new Congressional map issued Monday by the Pennsylvania Supreme Court — predictably, Democrats generally lauded it as fair, while Republicans, including President Donald Trump blasted the new plan and pledged to fight it in Federal Court. The state court issued the new map — which in addition to revising the current Congressional boundaries renumbers the districts largely from east to west – drawn by Stanford’s Nathaniel Persily to replace the map the state court ruled earlier this year violated the state Constitution, by unfairly depriving Democratic voters — who outnumber Republicans in Pennsylvania — fair representation, failing to have compact districts and by braking up too many counties and municipalities. The old map elected 13 Republicans out of 18 districts, despite there being almost one million more Democrats registered in the state. The court gave the state legislature two weeks to come up with a new map — and it did not. Senate President Pro Tempore Joe Scarnati and House Speaker Mike Turzai submitted a map, as did various other elected officials, but no plan was ever presented or voted on by the state House or Senate. 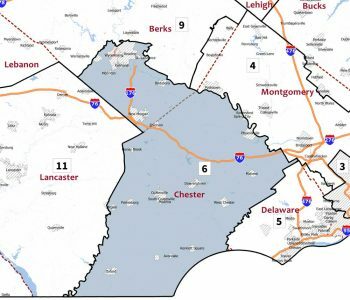 The big change for Chester County? The entire county would be placed in the 6th Congressional District, currently held by U.S. Rep. Ryan Costello. In addition to Chester County, the district would contain a large swath of Berks County, including Reading. In neighboring Delaware County, Chadds Ford Township would be placed in the new 5th District with the rest of the county — that seat which had been the old 7th, is held by the retiring Patrick Meehan, which previously snaked through five counties. The old 16th, which included much of western and southern Chester County, moves west to become the 11th, fully taking up Lancaster County and reaching west into York. The changes mean big swings in the make up of the districts. Cook’s Political Report rates the new 6th as having a two-point edge for Democrats (D+2) now, whereas the old district had a R+2 bias. The new 5th is expected to be a D+13 — a big change from the old 7th which was R+1. The new 11th goes from R+5 to R+14. 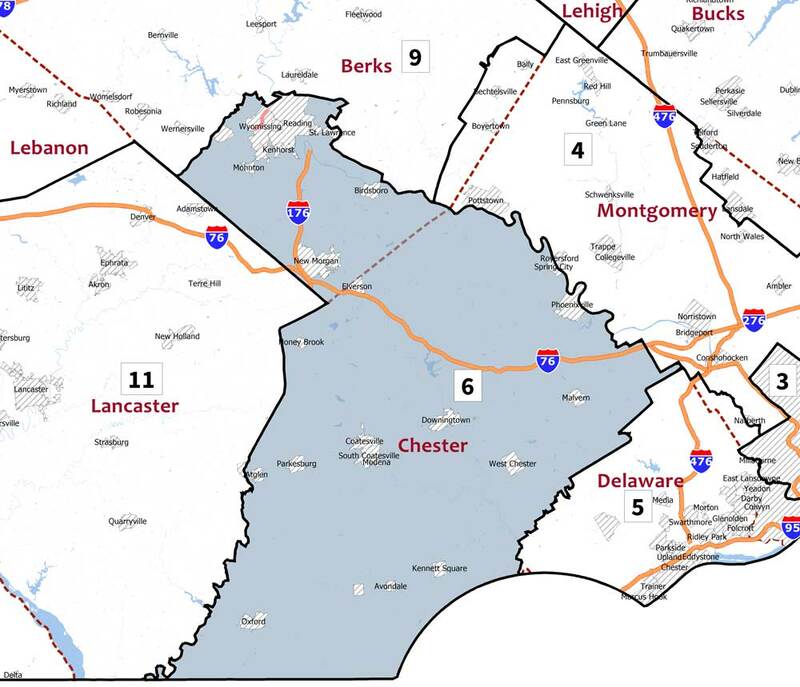 At this point, assuming the new districts hold up, Democrats appear to have have two candidates for the 6th: Chrissy Houlahan of Devon and Elizabeth Moro of Kennett Square. While Houlahan had been in the race since 2017, Moro had been among the large number of candidates in the old 7th. But the question remains: will the new districts stand up to federal court scrutiny. Democrats say yes, noting that U.S. Supreme Court Justice Samuel Alito declined to hear a previous motion for a stay, while Republicans argue the state Supreme Court is violating Article 1, Section 4 of the U.S. Constitution that says that drawing districts is the work of the state legislatures. Republicans say the new map has triggered a “constitutional crisis” in the commonwealth. Senate President Pro Tempore Joe Scarnati and House Speaker Mike Turzai — who submitted their own map without getting approval from the rest of the General Assembly last week — ripped the new map. Other Republicans called the map a power grab. “Today, in a shameful display of partisanship, the Pennsylvania Supreme Court drew and released a new congressional map,” Pennsylvania Republican Party chairman Val DiGiorgio said Monday in a statement. “This map constitutes a new standard for judicial activism, unquestionably is a violation of separation of powers, and is a sad day for the commonwealth and the state and federal constitutions. This power grab is an affront to over 200 years of precedent and nothing short of judicial-mandering. “Make no mistake – this is a partisan gerrymandering and power grab by Democrat Party operatives hiding behind robes. 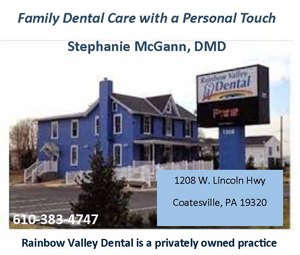 The Pennsylvania Supreme Court, by acting as judge, executive and legislature has trampled on the concept of separation of powers and violated the Pennsylvania and U.S. Constitution. “Their actions will result in unnecessary chaos and confusion just days before petitions are to be circulated. Hundreds and thousands of PA residents now find themselves in new congressional districts. Further, many candidates will find themselves drawn out of their districts. Additionally, the new map splits existing cities wards and precincts and uses concentrated Democratic votes in the cities to dilute Republican voters across our state. “One can only conclude the Democrats have done with their maps the very thing they sought to redress with their lawsuit – packing and cracking voters for partisan gain. Democrats, on the other hand, welcomed the new map. “Over the last month, I have personally heard from thousands of Pennsylvanians and they are sick and tired of gerrymandering, which perpetuates gridlock, alienates citizens and stifles reform,” Gov. Tom Wolf said in a statement. “I have stood for fairness and rejected a proposed map that was universally seen as another partisan gerrymander. I applaud the court for their decision and I respect their effort to remedy Pennsylvania’s unfair and unequal congressional elections. The Democratic Congressional Campaign Committee, which already had a number of Southeast Pennsylvania seats as targets, said the new map was a win for the voters of the commonwealth and should be a model for other states.